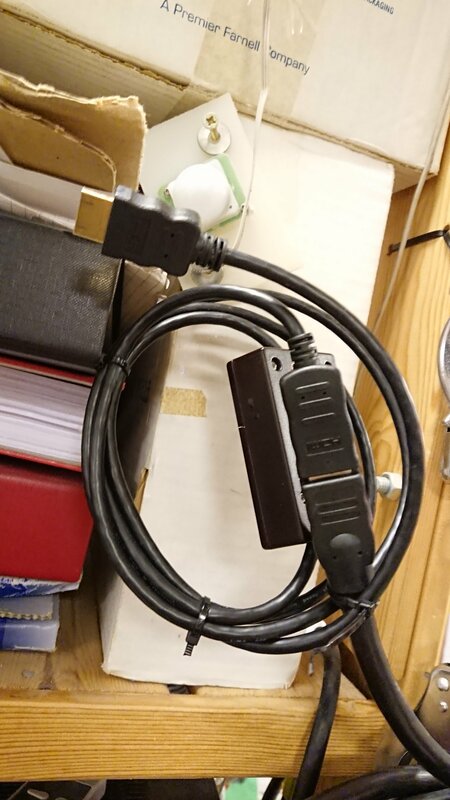 Rather than risking our beamer in a hunt for its EDID flash, which we might be able to re-flash, we decided to man-in-the-middle the cable and spoof the EDID sent by the beamer. A couple of ready-made solutions can be had on Amazon for anything from 30€ to 150€ but only one supports our beamers native resolution of 1280×800 and costs a whooping 75€. We’re hackers however, and so built our own solution for <10€ from materials already lying around. 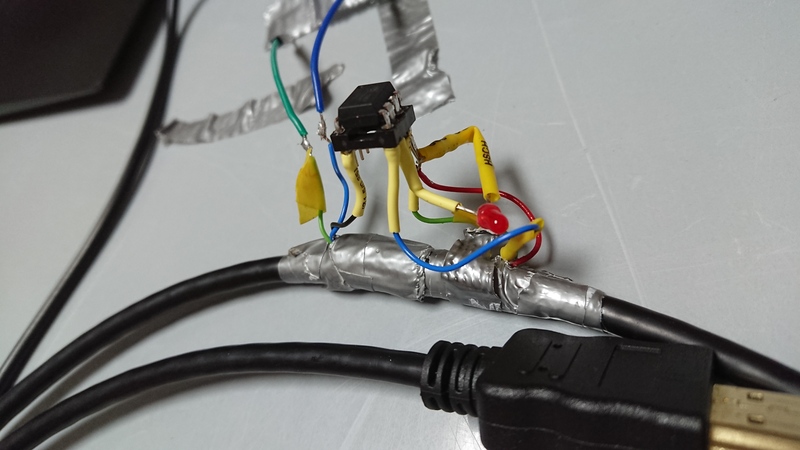 First we cut open a HDMI extension cable extracted the DDC wires as well as HDMI 5V and GND. 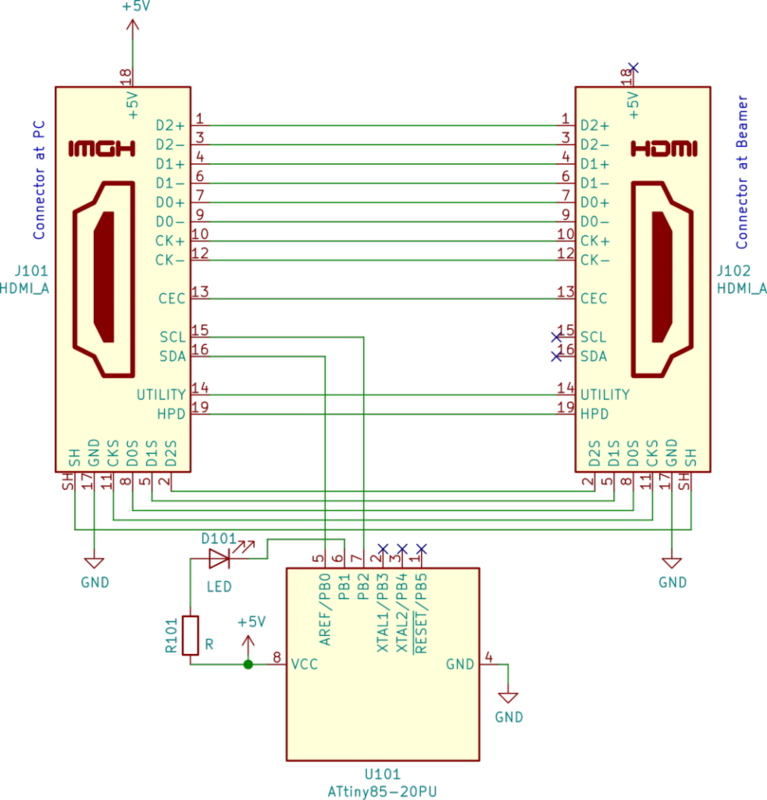 DDC just uses I2C so in theory we can use any µC, connect the DDC wires leading to the host device (laptop) it’s SDA/SCL pins, make it answer requests for EDID information and be done. We used an ArduinoNanoV3 as a programmer for the ATtiny and after fighting the firmware a bit (high-bytes), managed to find an EDID setting that would both compile and result int a laptop-hdmi-signal that was accepted by our beamer. It’s a weird 71.9 Hz signal, but it works reliably at native 1280×800. The lack of additional EDID modes might even be a boon, since it prevents laptops with different aspect ratios to autoselect a resolution that would yield crappy results. 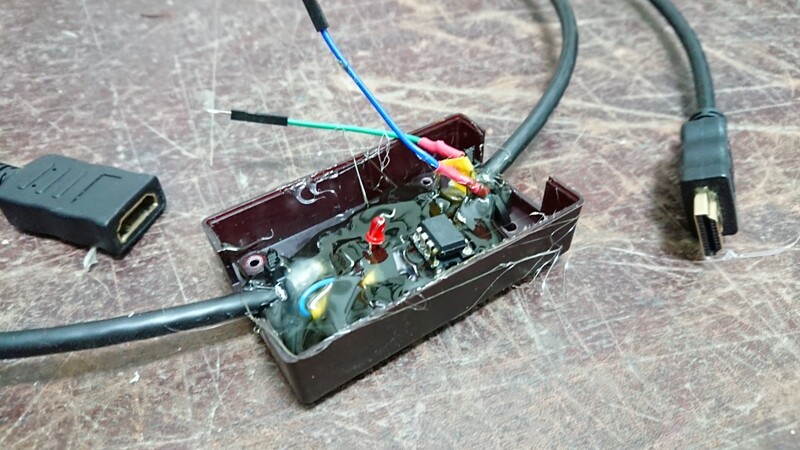 Finally we soldered the cable’s wires onto a 8pin socket and put whole thing in the casing of a dead H801. That way we still have the option of flashing better settings and firmware onto the ATtiny in the future. Add a few zip-ties for mechanical stability and voilà: Working HDMI port. Note the zip-tie securing our hack to the fat HDMI extension.